There’s an annual tradition I hold as a year closes. I find something to read that I think will set a meaningful frame for my personal transition into the next year. This time I found that in Amit Goswami’s Quantum Creativity. You may remember this author as one of the researchers and physicists featured in the documentary What the Bleep Do We Know? Dr. Goswami was also a senior scholar in residence at the Institute of Noetic Sciences and has taught at Pacifica, Philosophical Research University and elsewhere as well as written a number of books for the layperson on quantum physics related to consciousness. …then you realize this is one of the great wonders of the Universe. The experiences I mention are mine. But most of us have had such things happen to varying degrees. 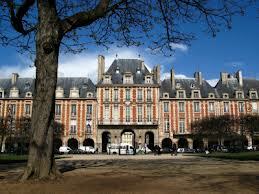 And it brings a sense of true reverence and awe to the creative space. When it happens to me I know I’m touching something much larger than myself. That I’m somehow communing with the Collective Unconscious. I define these occurrences as one of the Great Mysteries. And I want to fine-tune my capabilities to open that portal more so. I don’t know that it’s possible to call upon such a gift by will. But I am sure we can all develop ourselves to be in a state of readiness for when it does insert itself. In Quantum Creativity Goswami goes a long way in explaining the quantum physics that informs the creative process. He also confirms that having a consistent intention to look is like exercising a muscle. It develops strength to support the endeavor. It supports the wisdom of ritual. You have to religiously show up with your readiness. It’s not a sporadic thing, not something for dabblers. There’s also the argument for daydreaming, mind wandering⏤something many of us were probably chastised for in school. And for time in nature or meditation. Creativity shows up in the space between the thoughts. Consider the composer Richard Wagner’s account of his discovery of the overture to Das Rheingold. Wagner came home after taking a walk and went to bed, but could not sleep for a while. His mind wandered through various musical themes and eventually he dozed. Suddenly, he awoke and the overture of his famous Rheingold came to him in a creative outpouring. As much as this book is a primer for quantum physics in general it also offers the relevance to the creative process specifically and how to set yourself up to receive it. If you want to enhance your own process, then this is a book to assist your development. Of course, you still have to do the work involved yourself. The first step is showing up for that exhilarating ride. Quantum Creativity is widely available in print and ebook. Here it is on Amazon. Highly recommend if you’re interested in self-development of any kind. 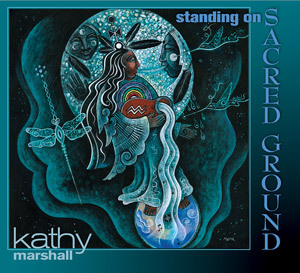 Listening to singer-guitarist Kathy Marshall’s latest release, I wanted to curl up in front of a fire with a cup of tea, close my eyes and let her words and music wash over me. I became nostalgic for those traditional folk ballads from times past…and yet found them in the songs contained in Standing on Sacred Ground. The lyrics are deeply personal and introspective, reflecting values of the musician: respect for Mother Earth, an urging to slow down and find truth within yourself, gratitude for blackberries. She tells stories about elements of life that are familiar to most of us and led me to reflect on my own life where there may be a similar thread of love or loss, and largely…celebration of what is. The guitar and other instruments are a beautiful accompaniment to stories she shares. 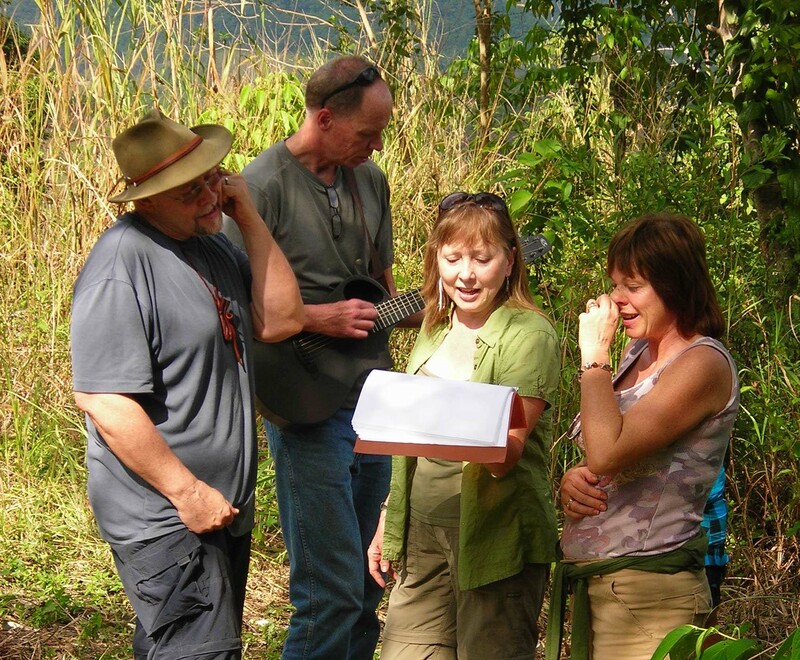 All lyrics and music written by Kathy Marshall. CD available to purchase or download via her website and CD Baby where you may also listen to individual songs. People are often surprised when I say that I’m an introvert. They’re fooled by the fact that I’m articulate, do public speaking, work with groups and engage socially. They assume that I’m an extrovert. I can do the things I do because I’ve arranged my lifestyle to support my biological make-up and preferences. I love to engage when they’re things I care about deeply—BUT I retreat to regenerate myself. Whether you lean toward introversion or extroversion primarily has to do with how you expend your energy and the way you renew it. However, our culture values extroversion. There must be something wrong if you’re not talking: You’re secretive, have nothing of value to contribute and probably not so bright. As a child there were countless times when I heard I was “too quiet.” Not by my parents, who are also introverts, but mostly by teachers, causing me to retreat even further into my inner world. As a teenager, it was even more hurtful, especially when it came from friends. All that input translates to: You’re not good enough. It haunted me for a long time. Indeed, your biggest challenge may be to fully harness your strengths. You may be so busy trying to appear like a zestful, reward-sensitive extrovert that you undervalue your own talents, or feel underestimated by those around you. But when you’re focused on a project that you care about, you probably find that your energy is boundless. – From Quiet. Later in life I have often been called “intense” as though something is wrong with that as well. But by the time I heard it the first time I’d begun to value my own sensibilities and could translate the meaning to “passion.” And the years I worked in a corporate environment…meetings were my most dreaded activity. Those who were most vocal blathered on saying nothing. It was an effort for me to keep in my seat. I wanted to jump out of my skin and flee. 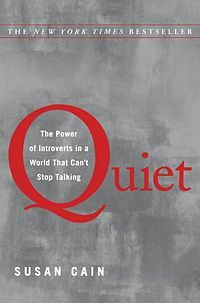 Author Susan Cain has gotten a lot of play in the media since Quiet was published in 2012. It’s been on the bestseller list for many weeks running. Nevertheless, I didn’t know about it until I was perusing my local library for CD books to accompany me on a recent road trip to Utah. I’m writing this review for those who missed this important book like I did. Whether you’re more introverted or extroverted, Quiet contains highly useful information for valuing both preferences. It also contains data on biological differences and distinctions of introversion. If you’re an introvert, it cites numerous studies and other pointers that will validate your value. If you’re an extrovert, it will help you understand the many introverts around you. I was horrified at one story about two extroverted parents who sought psychiatric intervention and medication for their introverted child. When one psychiatrist found the child to be normal the parents moved on for the next opinion. My most transformative experiences have never happened in groups. That said, there is extraordinary energy that builds when groups entrain to strong spiritual intent, kickstarting a process of opening. Then integration comes through balancing the internal and external. That is the premise underlying any retreats and spiritual travel programs I sponsor. The highly sensitive [introverted] tend to be philosophical or spiritual in their orientation, rather than materialistic or hedonistic. They dislike small talk. They often describe themselves as creative or intuitive. They dream vividly, and can often recall their dreams the next day. They love music, nature, art, physical beauty. They feel exceptionally strong emotions–sometimes acute bouts of joy, but also sorrow, melancholy, and fear. Highly sensitive people also process information about their environments–both physical and emotional–unusually deeply. They tend to notice subtleties that others miss–another person’s shift in mood, say, or a light bulb burning a touch too brightly. – From Quiet. The quote below was quite interesting to me. Such practices don’t just occur in Evangelicalism. I’ve personally had experience of being expected to utter prayers and entreaties out loud while in sweat lodge and other ceremonies, although not as common. I remember the first time it happened I was shocked at the intrusion on my privacy in a spiritual setting. To me, such things are so sacred they’re not pronounced aloud. Of course, the leaders didn’t see it as an affront. Now, if such a thing occurs, I pass to those who want to speak these things out loud and remain comfortable with my own way. Evangelicalism has taken the Extrovert Ideal to its logical extreme…If you don’t love Jesus out loud, then it must not be real love. It’s not enough to forge your own spiritual connection to the divine; it must be displayed publicly. There is a compilation of quotes for the book on Goodreads. Ultimately, this is the teaching of the book. We know from myths and fairy tales that there are many different kinds of powers in this world. One child is given a light saber, another a wizard’s education. The trick is not to amass all the different kinds of power, but to use well the kind you’ve been granted. There’s also an excellent TED talk by Susan Cain giving an overview. Quiet is available on Amazon and elsewhere in print, ebook and audiobook. In the spring of 2010 some local artists and students began a mural project at Miller Valley Elementary School depicting some of the actual students at work and play. This empowering slogan ran across the walls at the major intersection where the school is located: “Learning to Love, Loving to Learn.” It was part of a public mural project that was started around town years before to depict history, enhance beauty, relay affirming messages, and engage the public. The portrait of a Hispanic boy featured prominently in the artwork. A City Council member objected and became quite vocal via his radio show, inciting racism. The artists and students endured drive-by insults and demonstrations, both pro and con. Giving into pressure, the principal told the artists to lighten the boy’s complexion, then retracted that direction. The town known as “Everybody’s Hometown” ended up on national news and talk shows showing that it was anything but that. The wife of a Native person we’d sponsored for our Spirit Keepers Series contacted me from Washington saying, “Tell me it’s not so.” I was absolutely incensed and ashamed that such a thing would happen here—or anywhere for that matter. Here’s what I note about the backlash: When the pendulum is ready to swing dramatically, resistance becomes even stronger to hold things back. This is true whether it happens within the psyche of an individual or globally. The important thing is: to acknowledge the resistance, the clashing factions, indeed document it; and move forward anyway. The intensity wouldn’t have happened unless progress was being made. But integration and healing must take place. Such things can’t slip by or remain simmering beneath the surface. This certainly goes for us as individuals—and the wider world we inhabit. This will be a film that helps heal a community—but also the larger world. Culture Collective is now raising the funds needed. I invite you to support inclusiveness. To learn more visit Up Against the Wall Film—Public Art Indicted.